Various hackathons are taking place around the country in an attempt to find viable drought prevention solutions. 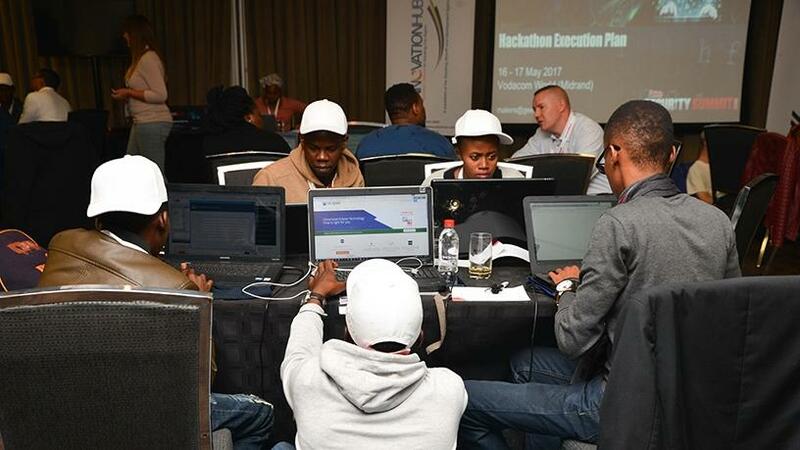 In the past months South Africa's concerned citizens - in partnership with ICT business leaders and organisations - have been hosting hackathons in a desperate attempt to find viable technological solutions to the looming national water crisis. Last week was no different, when global technology group Siemens SA hosted the inaugural two-day #DigihackAfrica2018 at Siemens Park in Midrand, Johannesburg, to identify reliable and efficient digital solutions to address Africa's water and energy needs. South Africa - particularly the Northern, Western and Eastern Cape regions - has been under a severe drought in the past months and the national government has declared it a national disaster. According to a statement released by the Department of Cooperative Governance and Traditional Affairs last month, the government will "strengthen and support the disaster management structures to implement contingency plans and ensure that immediate relief, recovery and reconstruction measures are put in place to enable the national executive to effectively deal with the effects of this disaster". Siemens says hackathons have exited the elite territory of "tech gurus" and can include communities and social groups in various spheres to address Africa's development needs. "The event brought together 10 interdivisional teams from Siemens alongside IOT and digital industry experts from companies such as IBM, IoT.nxt, Atos and Wits University to work on ideas that have the potential to positively disrupt the IOT environment in Africa. Within the allotted two days, the teams, with all their hardware and software, developed working application prototypes and models, which demonstrated how their solutions will operate in a real life setting, along with some basic functionality," explains Sabine Dall'Omo, chief executive at Siemens Southern and Eastern Africa. Team Siewasser - made up of a few Siemens employees as well as employees from local firm IoT.nxt - were crowned the winners for their decentralised intelligent water management system. Keshin Govender, head of corporate communications at Siemens Southern and Eastern Africa, explains that the solution uses IOT to facilitate the reduction of water losses by attending to leaks timeously. "The fully automated water accounting and leak detection system is made up of intelligently linked instrumentation from Siemens, flow meters as well as pressure transmitters which are linked to a GPRS 3G module that sends signals back to an in-house cloud-based system. Through a mobile app, water technicians and engineers on the field will have real-time monitoring access of the flow of water in any water infrastructure network on a device. In the event of a dip in flow or increase in pressure, the app will receive a notification and the engineer allocated to that particular area will be able to immediately attend to the problem. Through our solution, we hope to ensure high availability of drinking water to communities." Team member Tobie Alberts, who is a data analyst at IoT.nxt, says digital solutions will definitely help save the situation. "South Africa's loss in water is about 37% just due to leakages. This represents 4 500 billion litres of water annually. With this solution, if we can just save 1% of water, we will have already saved enough to provide water to every single household in Cape Town for six months." Govender says the winning team will travel to Siemens HQ in Germany to further develop its idea into a commercially viable product to be sold globally. Last month, global network Startupbootcamp hosted the #DefeatDayZero hackathon in Cape Town. TinyEco's innovation, the TinyLoop, was named the winner. Speaking at the time, TinyLoop head designer Thomas Bartleman said the hackathon had afforded an opportunity to collaborate with and learn from individuals from different backgrounds and experiment with new ideas specifically geared for the region. "Developed and developing countries have vastly different needs in the 21st century and we, as Africans, need to apply solutions that will succeed in the long term. Large-scale solutions, especially when it comes to basic human needs like energy and water, will not sustain the continent in the long run and will simultaneously take their toll on the environment. We need to work together to implement small-scale, regenerative solutions." Day Zero - the day when the City of Cape Town is expected to turn off the fresh water supply to suburbs - has been pushed back to July 2018 from an earlier projected 12 April 2018.